Corrigan Police Chief, Darrell Gibson, assisted in the accident investigation. 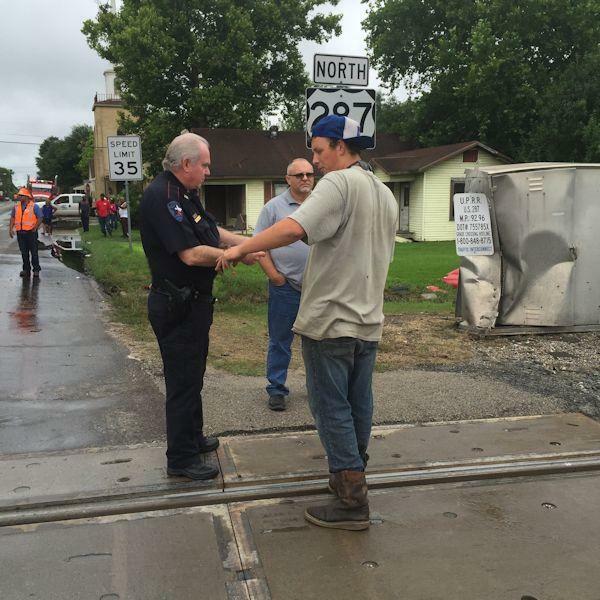 18 Wheeler and Train Collide, No Serious Injuries, CORRIGAN, May 21, 2015 - At approximately 4:30 pm on May 21, 2015, an 18 wheeler was east-bound on Highway 287 North at US-59 when the driver, Dustin Moore, 38, of Tyler, stopped on the railroad tracks (as a train was coming). Moore abandoned his vehicle before the train slammed into his rig. Another east-bound 18 wheeler driven by Cedric Fields, 30, of Magnolia, struck Moore's rig. Americare Ambulance Service along with Corrigan Volunteer Fire Department and Corrigan Police Department were dispatched to the scene. Cedric Fields and the train engineer were transported by ambulance to a nearby hospital just for precautionary measures. 287 was completely blocked during investigation and cleanup. Moore was cited for stopping on the railroad tracks. The mess was cleaned up by Riley Wrecker Service and Clifton Towing (both out of Corrigan). 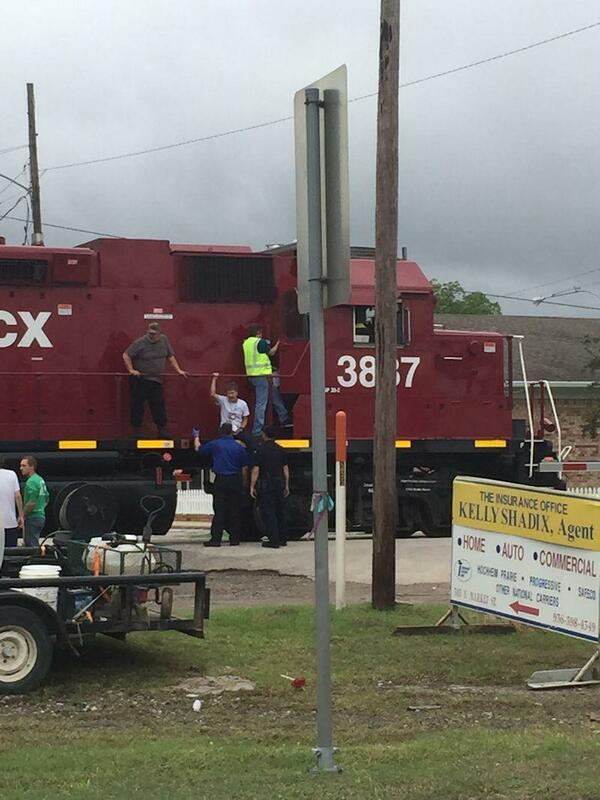 The red 18 wheeler was struck by a train, then struck by the oncoming gray 18 wheeler. Officers Erik Bolton (left) and Albert Richard with Corrigan PD investigated the accident. The impact of the train on Moore's 18 wheeler knocked the front axel off as it slammed into this utility box.